Do not envy the success and advantages of others’ in this changing world, there are infinite possibilities within every minute. The only constant thing is that technique will eventually bring miracles. No matter in which occasion, marked Piatnik Doppeldeutsche Nr.1808 black marked cards will help the owner a lot. 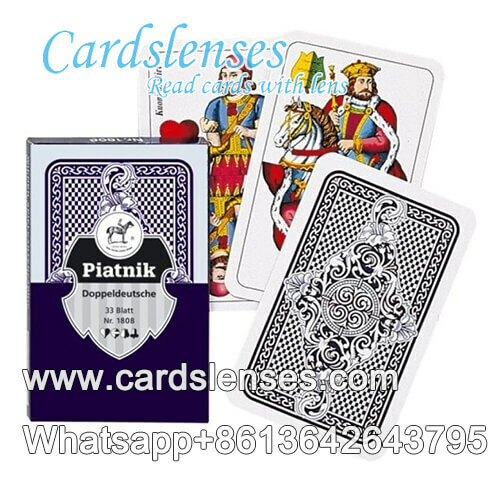 When using marked Piatnik Doppeldeutsche Nr.1808 black cards and wearing our infrared contact lenses, no one will lose so easily.